So much for good intentions. I’d planned to write more frequently while I was away, but that didn’t happen. I was so happy to be back in Fethiye that – as well as the various bits of running around that had to be done – I got a bit lost in just enjoying it. I’d also intended to be incredibly choosy when it came to finding somewhere to live. We have a track record of going for the first property we look at, because it ticks all the boxes or just feels right. I was determined that wouldn’t happen this time. And it didn’t – I went for the third place instead! A gorgeous house in Kaya that was pretty much exactly what I’d imagined, if at the top end of our budget. 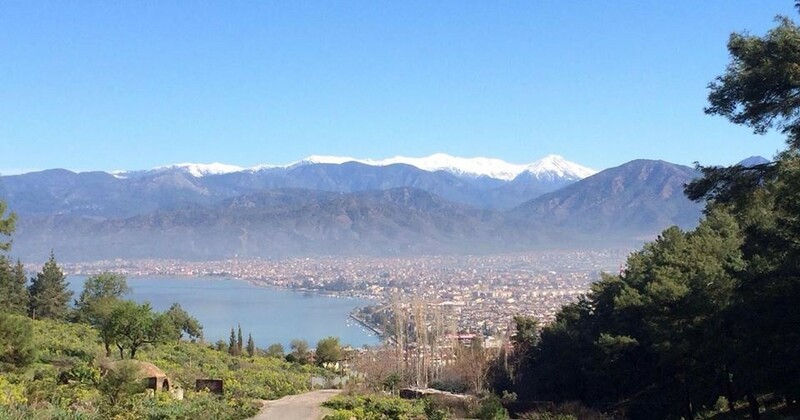 If you’re looking for somewhere to live in the Fethiye area – obviously I can’t speak for anywhere else – I would say there’s no shortage of people offering to help. There are numerous Facebook groups, forums and websites where you can post your requirements and you’re guaranteed offers of assistance. Be wary, though. Ask questions. And don’t trust someone just because they’re friendly. Property agents have a bad reputation anywhere, but as a yabanci you are a prime target for those without scruples. Emlaks are supposed to be regulated, as I understand it, but it seems almost anyone will claim they can help you. It’s also worth noting that things can move pretty quickly. I started putting out feelers a good couple of months before my trip, but it quickly became evident that was far too early. Everything I liked was gone within days and, with my own house, I said I wanted it on a Tuesday and signed the rental contract the next day. Make contacts, by all means – but don’t set your heart on anything too far in advance. I’ve been very lucky in having a couple of good Turkish friends who were willing to help me. They’d found a dozen different places for me to look at and helped negotiate an acceptable price. They’ve also come with me to get my tax number, recommended tradesmen and will keep an eye on things while I’m back in the UK. They are invaluable, and ask nothing in return but a large bottle of Jack Daniels! Renting a house feels like a huge step towards our final move and I’m so excited. I’ve already booked my next flight when I’ll sort out a few more things – crossing my fingers I can actually stay there when I go! This entry was posted in Planning and preparation and tagged emlak, Fethiye, kaya village, living in Turkey, moving to fethiye, property in fethiye, renting a house, yabanci on February 21, 2014 by theparsleys.